Back when I was living in Germany I never really used lip balm. For sure, as a woman I always had a few sticks with me (always losing them somewhere, too), but my lips were mostly in quite good condition such that I didn’t need to use them anyway. When I moved to Japan this changed. Maybe I am just getting old, but probably it comes from the different climate conditions. Especially in winter my lips become very dry and burst at some corners. Everyone who had this happen to them before knows that it really hurts and usually doesn't heal easily by itself. 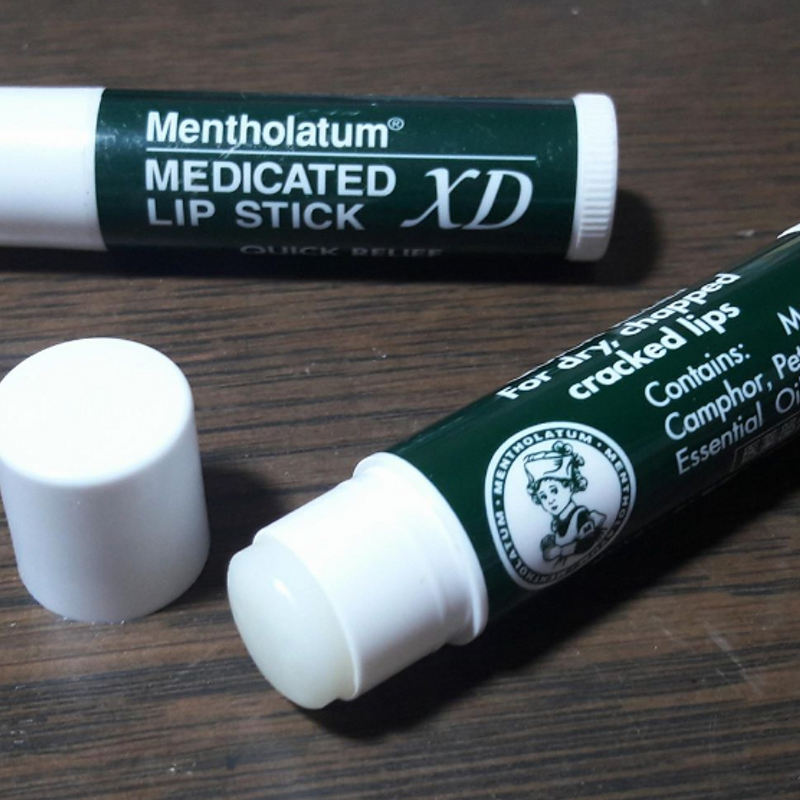 This winter one thing I always had in my bag and jacket pocket – yes, usually I always had at least two sticks with me – were Mentrum Medicated Sticks (メンターム薬用スティック). 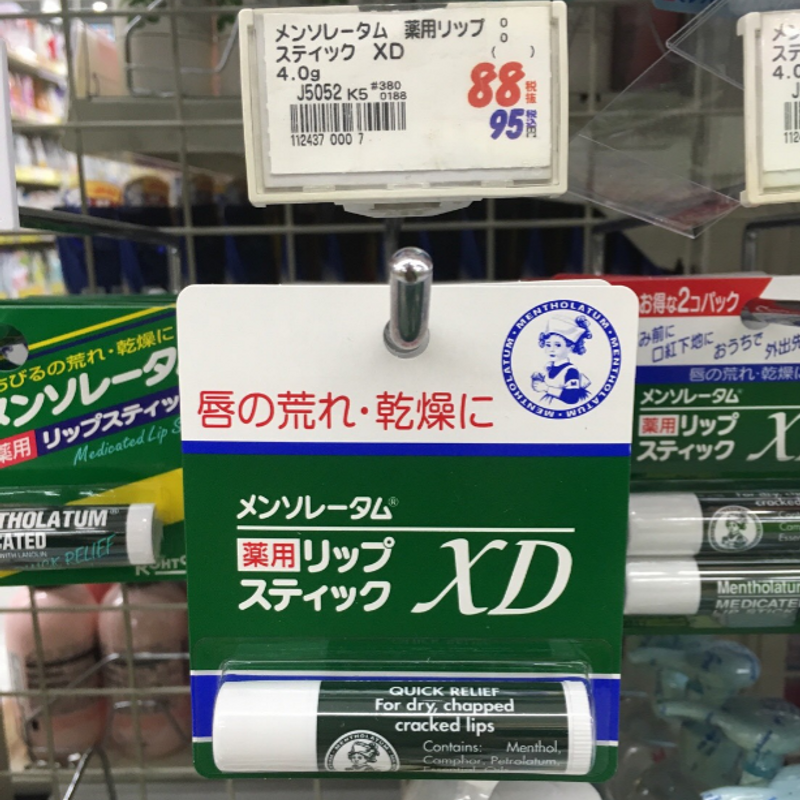 This lip balm is made by the Japanese company Omi Brotherhood (近江兄弟社) and is – as the packing says – for dried, chapped and cracked lips. It is medicated with menthol and camphor through which it is aimed to keep your lips healthy and give them moisture. As some advertisements say it even is the most popular lipstick in Japan. My husband was using these already and when I told him about the problem with my lips he recommended I try out this one. When I first put it on my lips I felt so surprised. It has a cooling effect and also started burning a little bit on my sore lips. But it stopped quickly and after my lips started to feel well again. I like the menthol inside very much actually. 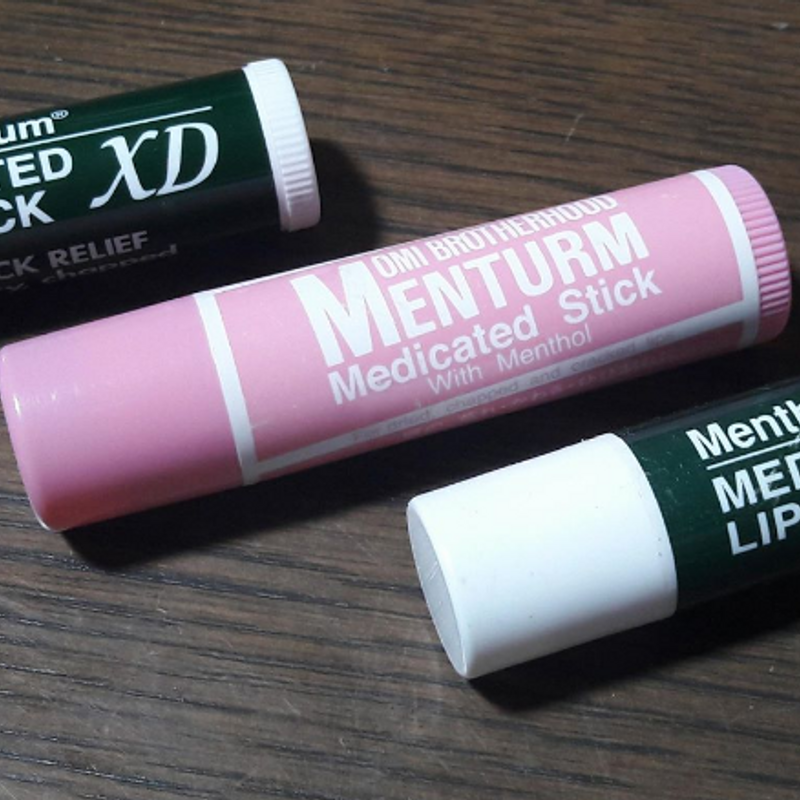 If you haven’t tried it out yet and are interested: Mentrum Medicated Sticks are sold nearly everywhere! 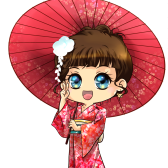 I have seen them at supermarkets, drug stores, convenience stores and even 100 yen shops here in Japan. So, keep your eyes open and give them the blessing I got, too.